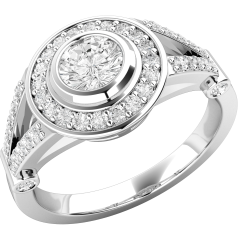 The jewellery in our Art Deco Collection is inspired by the patterns and motifs of the original Art Deco Style. 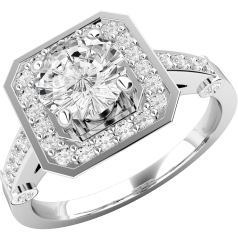 The Art Deco Collection is characterized by the use of abstract and geometric patterns, like circles, squares, triangles, and rectangles, with influences from Cubism, but also from Art Noveau. 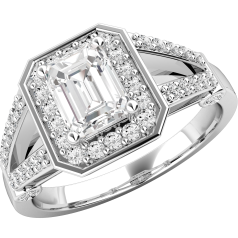 The intricate designs recreate the sophisticated elegance of the Art Deco from the interwar period. 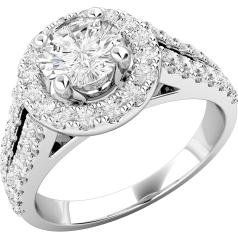 Cocktail rings were the most popular ring style in the Art Deco period. 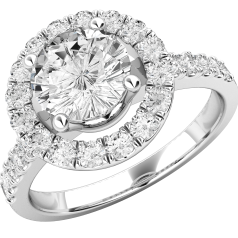 These oversized rings have a large centre stone, oftentimes surrounded by smaller stones. 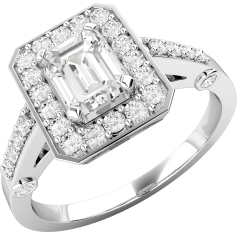 Worn with a little black dress an Art Deco style cocktail ring can become the focus point of the outfit. 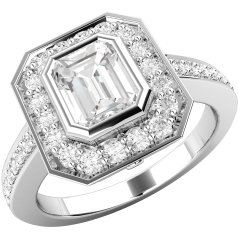 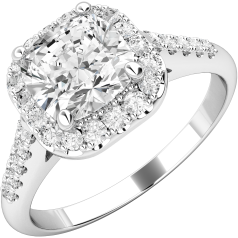 However, Art Deco style rings are also fashionable as engagement rings, as exemplified by actress Scarlett Johansson. 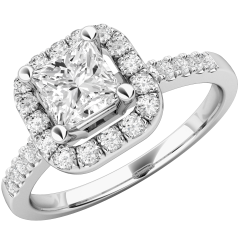 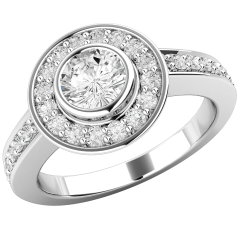 You can choose from our collection of Art Deco style rings for whenever you wish to don a piece that says glamour and elegance.